A recent study from the Donald Danforth Plant Science Center suggests that rising temperatures and carbon dioxide levels could have opposing effects on nutrients in soybeans. About two billion people globally suffer from iron and zinc deficiencies, according to the World Health Organization. Many communities that deal with this problem rely on soybeans and other legume crops to be their source of essential nutrients. As a recent report from the White House noted, climate change will cause temperatures to rise past productive levels for corn and soybeans. Scientists at the Danforth Center, University of Illinois Urbana-Champaign and the U.S. Department of Agriculture examined the effects of raising carbon dioxide levels and temperatures by three degrees Celsius on soybean plants. 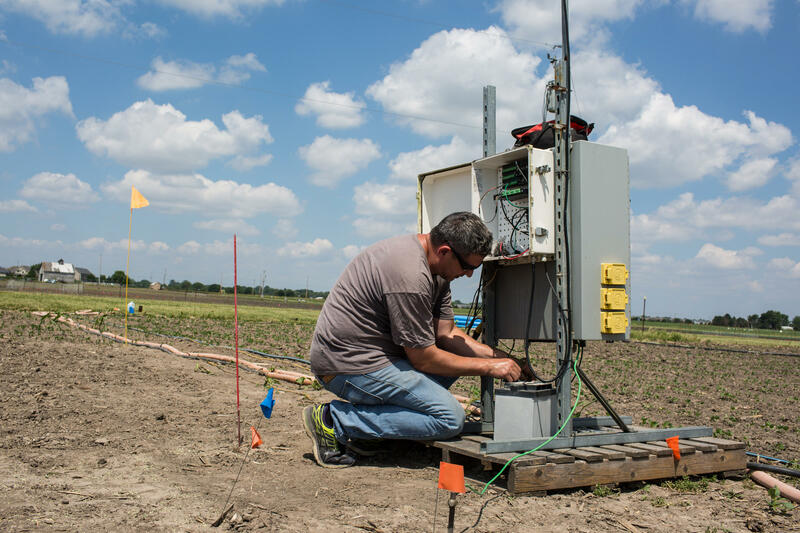 They found that while carbon dioxide raised soybean yields and lowered iron and zinc levels, hotter temperatures lowered yields and raised mineral levels. USDA researcher Carl Bernacchi sets up heaters near a field of soybean crops at the University of Illinois Urbana-Champaign. A national climate report issued Friday predicts a bleak picture for the state and region as a result of climate change: increased flooding, hotter temperatures and intensified storms – all of which can hurt the agriculture industry, infrastructure and human productivity. St. Louis Public Radio's science and environment reporter Eli Chen joined St. Louis on the Air host Don Marsh to expand on how climate change is affecting the state, as well as what is being done to try and prevent its most harmful effects. A national climate report released last Friday from 13 federal agencies predicts increased flooding and hotter temperatures in Midwestern states like Missouri — and that unless carbon emissions are significantly reduced, changing climate patterns could be costly.